This summer's season of The Bachelorette ended recently in a flurry of rose petals and tears and bad poetry, so now my Monday nights and my life feel empty and meaningless. (Just kidding. Only my Monday nights.) Anyway, my froomie Bekah texted a couple of days ago and reminded me that I never posted the promised Bachelorette-inspired post, so here it is. Better late than never, right? One of the reasons I love the Bachelor franchise is that these shows are like one big ethnographic study. 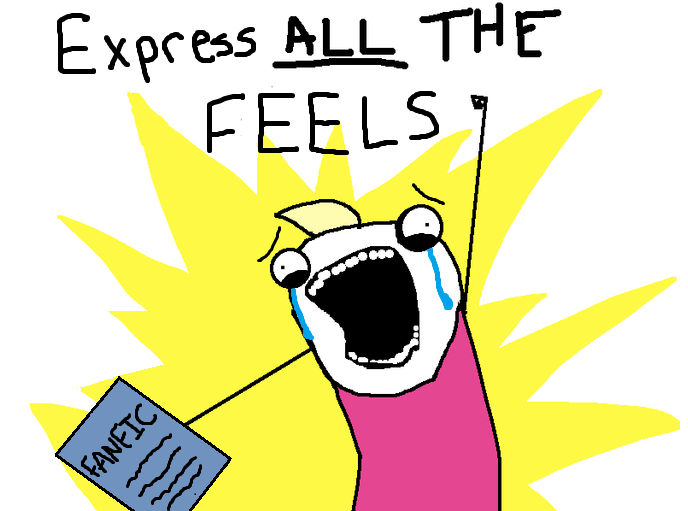 I'm fascinated by the interactions, by the drama, by all the feels the contestants express. This season, however, I'm seriously tired of seeing abs. And pecs. And huge necks. These guys are either spending way too long in the gym or they're ’roiding big time. Or both. It is for this reason that I feel the need to explain what I like to call the Bell Curve of Beefy. 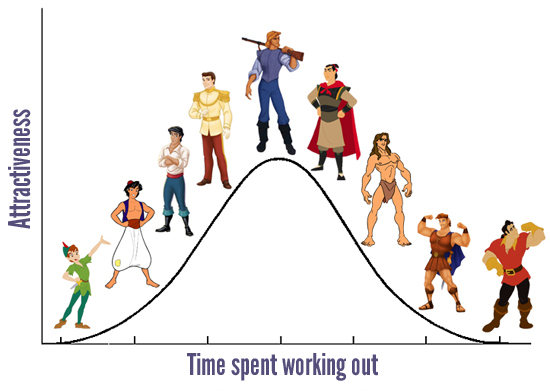 This bell curve basically posits that bulking up — pumping iron, getting cut, what have you — will only make you more attractive to a certain point. Pass this point, and it will begin to have the opposite effect. Bulk up too much, and you will look like a meathead. I first became aware of the principle behind this graph while using the ridiculous rec center at Mizzou. The main weight room there is always full of brawny boys in basketball shorts and cut-off tank tops. The room is thick with the scent of sweat and Axe and protein shakes, and it's walled in glass, which gives outsiders the opportunity to observe the gymrat species in its natural habitat. Whenever I passed by, I found myself most intrigued by the neck machine. Every time I saw a boy strengthening his neck, I wanted to rap on the glass and ask, "Um, excuse me, are you doing that for me?" And by "me," I would mean the girls. Are you boys thickening your necks for us? Or for each other? Because I promise you, I PROMISE YOU, girls do not mind the natural circumference of your neck. You can leave it the way it is. Is there another, non-appearance-related reason to work out your neck? If so, enlighten me. Please. What do you need to lift with your neck besides your own head? Maybe your motivation to work out has nothing to do with impressing girls. By all means then, disregard my commentary. Maybe you're bulking up so that you can — I don't know — perform various heroic feats. Or maybe you just like being swoll for your own sake. In that case, go for it. I'm not saying guys should quit working out altogether. I'm just saying let's find the happy medium, people. The Gaston look isn't good on anybody.